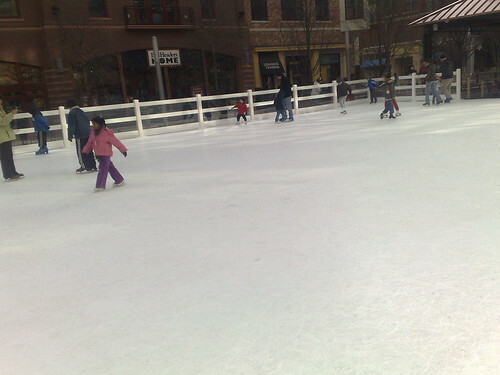 New ice skating rink at Rockville Town Center, originally uploaded by shashiBellamkonda. The Rockville Town Center is morphing into a real cool place to be. I love the fact that the library is in the center of it . Kudos to the planners. There have been a few times we have planned a library visit with a lunch or dinner at one of the restaurants surrounding the Town Square. Today I was thrilled to see a Ice Skating Rink and then in the evening I heard that the Chef of Bethesda's Passage to India is opening a new Indian Restaurant SpiceXing in the Town Square. I just cannot wait , maybe next month's tweetup will be in SpicXing in the Rockville Town Square.